Paluma Range National Park consists of two sections, Jourama Falls in the north and Lake Paluma in the south. 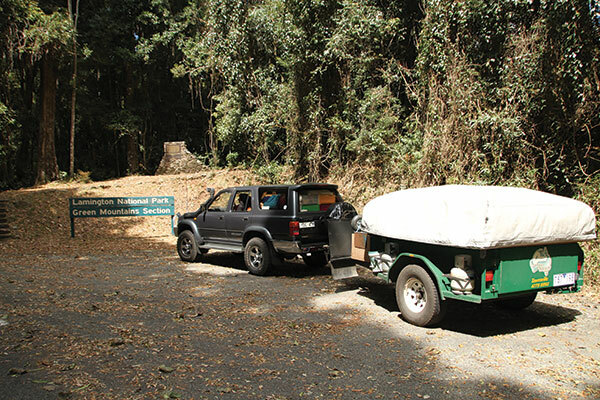 The Jourama Falls campground is surrounded by lush tropical rainforest and gives access to the picturesque Waterfall Creek. A short 600m walk leads to a lookout with impressive views of the falls. Lake Paluma sits high up in the mountains, with Mt Spec rising 1000m above sea level. The large camping area caters for all kinds of rigs. Head out to Birthday Creek Falls which flows all year around and you may spot the elusive golden bowerbird. Paluma is a birdwatcher’s paradise, as some of the region’s most endangered species can be found here. Where: Jourama Falls is 91km north of Townsville while Lake Paluma 61km north of Townsville. Camping: Camping is available at Jourama Falls, but sites must be pre-booked. Facilities include toilets and cold showers. Fees are $6.15 per person night or $24.60 per family per night. 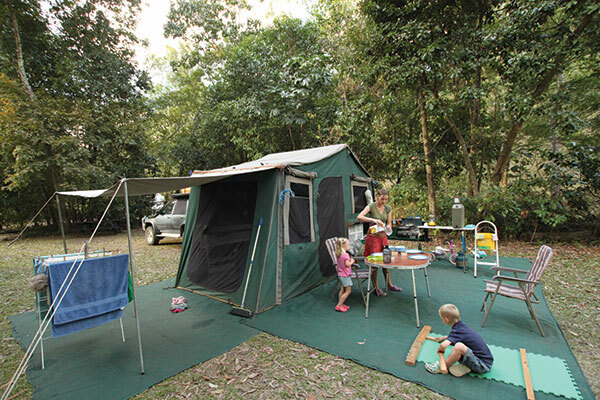 Campsites at Lake Paluma cost $20 per site and must be pre-booked by visiting www.townsville.qld.gov.au. More info: Visit www.npsr.qld.gov.au or phone 13 74 68. This extensive national park covers five areas, each offering unique natural attractions, with Wallaman Falls the highlight. 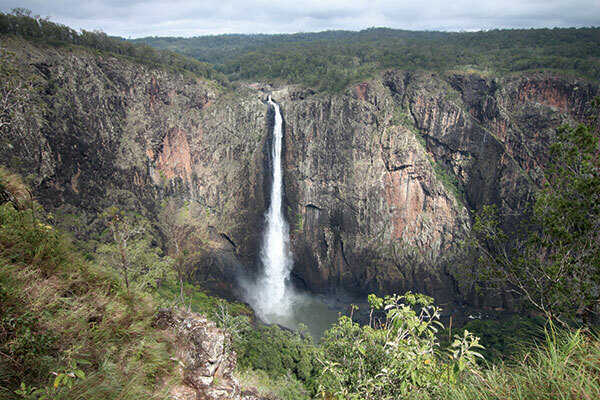 These impressive falls, located 51km south-west of Ingham, happen to be Australia’s highest single drop waterfall. Spilling 305m into a sparkling pool, this is definitely a destination not to be missed. A breathtaking sight, the falls can be viewed through a rainbow-fringed cloud of early morning mist or for a different viewpoint, a strenuous 4km return track leads to their base. If you don’t want to make the trip down, you can walk 300m to the lookout over the Herbert River Valley, which is well worth it. Where: Wallaman Falls is located 51km south-west of Ingham in far north Qld. Camping: Walk-in bush camping is available – facilities are limited to flush toilets. A camping permit must be obtained prior to arrival ($6.15 per person per night or $24.60 per family per night). 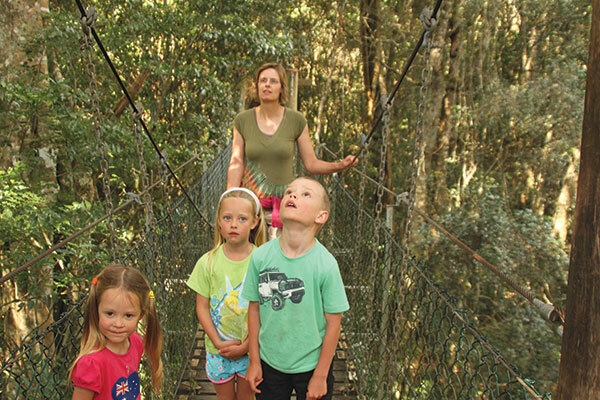 A rainforest oasis located only 90 minutes inland from the busy Gold Coast, World Heritage-listed Lamington National Park transports the visitor into another world. Grand mountain vistas, breathtaking waterfalls and an amazing variety of bird and plant life make this park a must-see on any bucket list. Part of the Scenic Rim – a chain of impressive mountains, plateaus and peaks in south-east Queensland – the park is home to lush subtropical rainforest, Antarctic beech trees, hoop pines and montane heath. Many plants are unique and found nowhere else in the world. The vast network of walking tracks along the McPherson Range, which is situated 900m above sea level, is the perfect way to explore this stunning landscape. Where: Lamington NP, 110km south of Brisbane, consists of two sections: Green Mountains and Binna Burra. Camping: The Green Mountains section has a national park campground, which is suitable for walk-in camping, campervans and motorhomes. Campervan site 5 is the only spot suitable for a camper trailer and must be pre-booked. Facilities include hot showers, toilets, taps and bins – generators are not allowed. Once Queensland’s second largest town and affectionately known as ‘the World’, Charters Towers is a town of history and intrigue. Today, the town stands as an impressive monument to the struggles and successes of the gold seekers who came to try their luck during the 45 years of the gold rush. If you’re keen to try your own luck, have a go at gold panning at the historic Miner’s Cottage in the centre of town, where a small fee is charged. During your stay you’ll encounter grandeur, greed and - according to local legend - ghosts. See the film Ghosts After Dark in the amphitheatre on Towers Hill if you want to find out more. Where: Charters Towers is 133km west of Townsville in far north Queensland. 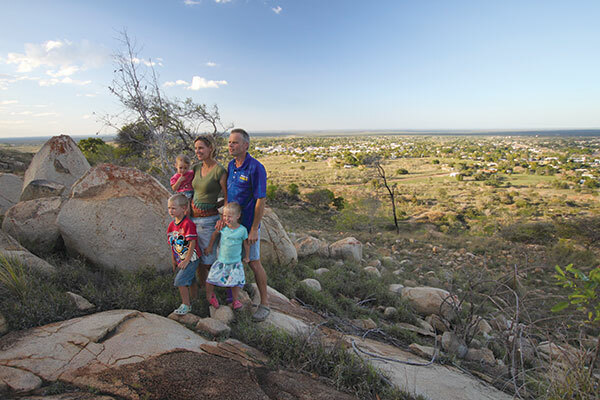 Camping: Charters Towers has three caravan parks. 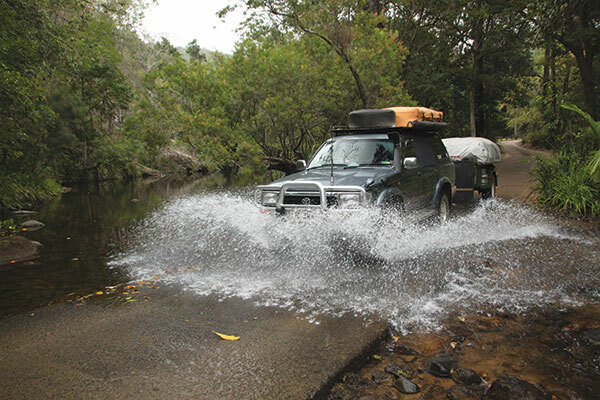 Bush camping is available along the Macrossan River (20km) and in Dalrymple National Park (42km). 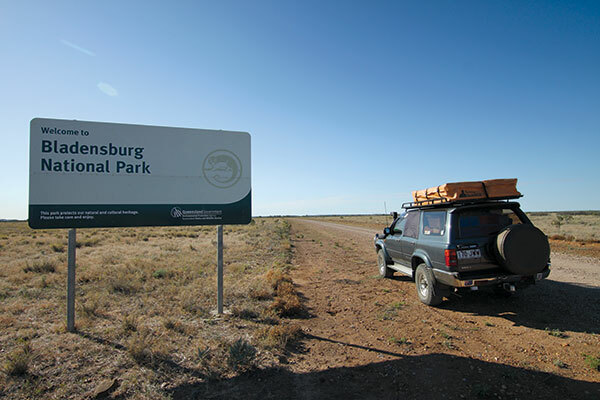 Relatively unknown, Bladensburg National Park is easily accessed via the outback town of Winton. Head to the original Bladensburg Homestead and learn about the family who ran the sheep station in this rugged neck of the woods. The old homestead is also the starting point for the 40km return Scrammy Drive, which will take you through seemingly never-ending grasslands before reaching Scrammy Gorge and Scrammy Lookout where you’ll enjoy panoramic views of the stunning Channel Country. This park is considered remote so you need to be completely self-sufficient and prepared for emergencies. The dirt roads can quickly become impassable so always check the weather forecast before exploring Bladensburg National Park. Where: Bladensburg NP is 12km from Winton. Camping: Bush camping is available at Bough Shed Hole camping area where facilities are limited to pit toilets and camping fees apply ($6.15 per person per night or $24.60 per family per night). A camping permit must be obtained prior to arrival.